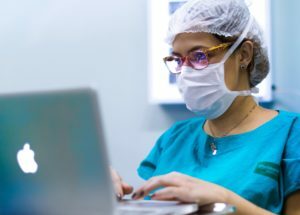 Healthcare providers have largely adopted electronic health records as a first step in transforming healthcare by collecting patient information in structured computer applications. However, these electronic health record systems (EHRs) by themselves do not address many of the biggest problems in healthcare. Without the ability to share standardized data between different EHRs, patient information is inaccessible to other specialists or providers who may need to understand the patient’s full health history to make informed care recommendations. MiHIN is working to ensure the vital data captured in different EHRs can travel to where it’s needed, and arrive in a format that’s usable for the healthcare provider who receives it. We are radically simplifying information exchange through shared services that encourage standardized, consistent and organized ways to send and receive health information. MiHIN helps providers navigate the complex and highly fragmented aspects of healthcare, so they can focus on their number one priority—patients. Make healthcare more efficient by creating and implementing common standards with health plans and the government so providers have consistent ways to report patient health information. MiHIN connects with multiple Health Information Exchanges in Michigan (commonly called HIEs) to promote statewide data-sharing. These HIEs are connected to the MiHIN network and work closely with healthcare providers to optimize health information sharing from the providers’ specific electronic health record systems. Different HIEs offer different services, and specialize in helping different kinds of healthcare providers. More information on the HIEs serving Michigan is available on the Exchanges section of this website.